Even doctors may need help sometimes… A few months ago, I got my Boss DR-110 that I bought on eBay on which only the HAND CLAP worked. All other sounds were there, but at a very low volume. 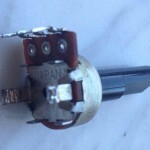 With the help from the 99musik forum the BALANCE potentiometer became the primary suspect. 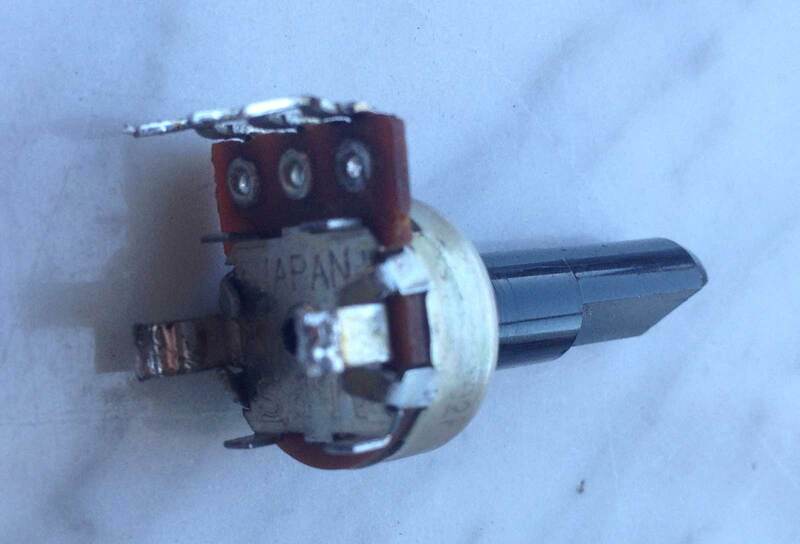 A few weeks ago I ordered a new 20KΩ linear potentiometer even thought the dimensions weren’t right, just to verify that the pot actually was the problem. 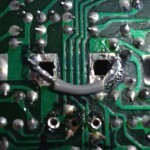 When looking at the PCB it was quite obvious that someone had try to repair/replace the pot before. 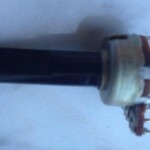 It was quite badly done, one of the trace leading to wiper connection on the pot was loose. 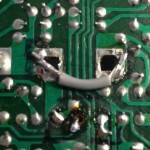 I desoldered it and soldered a three lead cable that I inserted through the hole where the pot is supposed to be. I had to scrape the trace where the wiper had been and solder directly to it. Leads soldered to the new temporary 20kΩ pot. 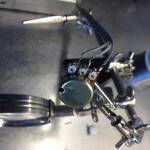 Before soldering the leads. i’ve scraped the trace for the middle lead. Notice the bridge that I forgot the first time.